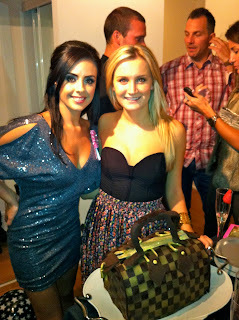 This past weekend was Jessie’s red carpet themed birthday party! 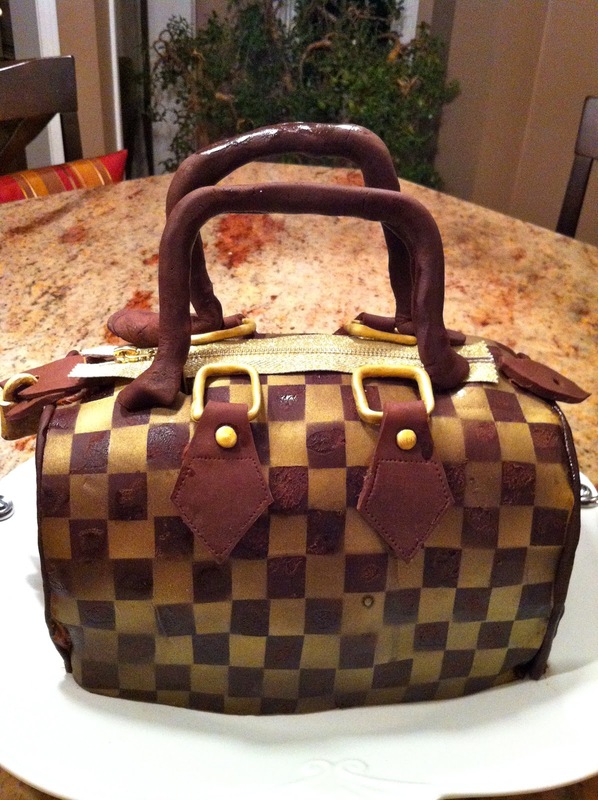 I made her a Louis Vuitton cake as it is her favorite bag. Although it looks complicated, it is really not that hard to make. Here are some steps to follow to create your own LV cake! (1) Bake 5 cakes and put in freezer for one day. The cake is easier to carve when frozen. 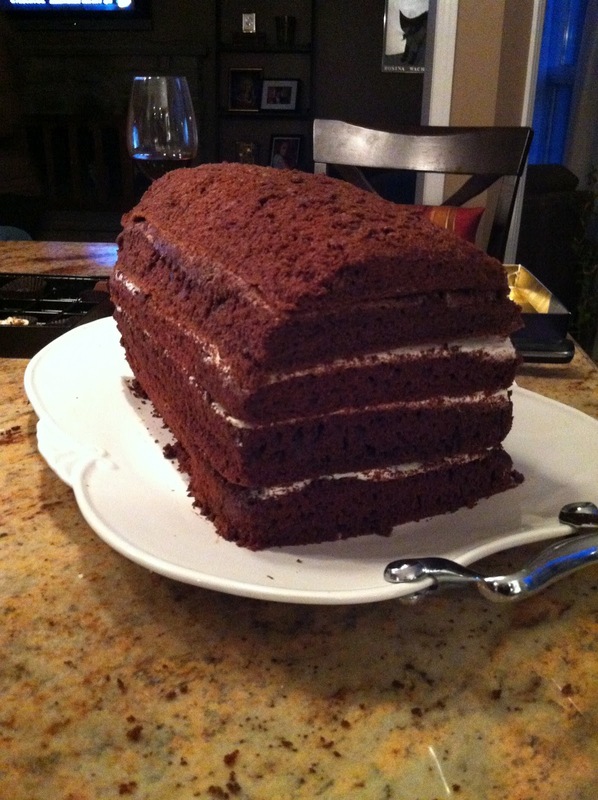 (2) Stack the cakes with icing in between each layer and then carve to desired shape. (3) Roll out fondant and use a stencil of your choice. You can buy edible paint or spray paint at any craft store. I got mine at Michael's. Hint: use icing and dabs of vanilla extract as glue!